Koshish Foundation, an organization funded primarily by NED University Alumni in Silicon Valley, helped fund Koshish Foundation Research Lab (KFRL) in Karachi back in 2014. It has since received additional funding from numerous national and international organizations including DAAD, German Academic Exchange Service. The lab has been renamed RCAI- Research Center For Artificial Intelligence. In a letter addressed to NEDians Suhail Muhammad and Raghib Husain, the RCAI director Dr. Muhammad Khurram said, "I would really like to thank you (and Koshish Foundation) who helped me in making things happen in the start. Still, a lot needs to be done." "Pakistan churns out about 22,000 computer-science graduates each year. With additional high-quality training, a significant portion of these graduates could be transformed into a small army of highly-skilled professionals who could develop a range of AI products and earn billions of dollars in exports." It's notable that Pakistan's tech exports are growing by double digits and surged past $1 billion in fiscal 2018, according to State Bank of Pakistan. Dutch publication innovationorigins.com recently featured a young Pakistani Tufail Shahzad from Dajal village in Rajanpur District in southern Punjab. Tufail has studied artificial intelligence at universities in China and Belgium. He's currently working in Eindhoven on artificial intelligence (AI) projects as naval architect and innovation manager at MasterShip Netherlands. There is at least one Pakistani AI-based startup called Afiniti, founded by serial Pakistani-American entrepreneur Zia Chishti. Afiniti has recently raised series D round of $130 million at $1.6 billion valuation, according to Inventiva. Bulk of the Afiniti development team is located in Thokar Niaz Baig, Lahore. In addition, the company has development team members in Islamabad and Karachi. Afiniti uses artificial intelligence (AI) algorithms to enable real-time, optimized pairing of individual call center agents with individual customers in large enterprises for best results. When a customer contacts a call center, Afiniti matches his or her phone number with any information related to it from up to 100 databases, according to VentureBeat. These databases carry purchase history, income, credit history, social media profiles and other demographic information. Based on this information, Afiniti routes the call directly to an agent who has been determined, based on their own history, to be most effective in closing deals with customers who have similar characteristics. This latest series D round includes former Verizon CEO Ivan Seidenberg; Fred Ryan, the CEO and publisher of the Washington Post; and investors Global Asset Management, The Resource Group (which Chishti helped found), Zeke Capital, as well as unnamed Australian investors. Investors in Afiniti's C series round included GAM; McKinsey and Co; the Resource Group (TRG); G3 investments (run by Richard Gephardt); Elisabeth Murdoch; Sylvain Héfès; John Browne, former CEO of BP; Ivan Seidenfeld; and Larry Babbio, a former president of Verizon. The company has now raised more than $100 million, including the money previously raised, according to VentureBeat's sources. Drone is an example of artificial intelligence application. It now a household word in Pakistan. Drones outrage many Pakistanis when used by Americans to hunt militants and launch missiles in FATA. At the same time, drones inspire a young generation of students to study artificial intelligence at 60 engineering colleges and universities.... It has given rise to robotics competitions at engineering universities like National University of Science and Technology (NUST) and my alma mater NED Engineering University. Continuing reports of new civilian uses of drone technology are adding to the growing interest of Pakistanis in robotics. Dr. Ata ur Rehman Khan rightly argues in his Op Ed that AI should be an area of focus for research and development in Pakistan. 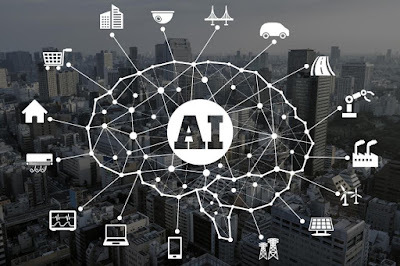 He says that "the advantage of investing in areas such as artificial intelligence is that no major investments are needed in terms of infrastructure or heavy machinery and the results can become visible within a few years". 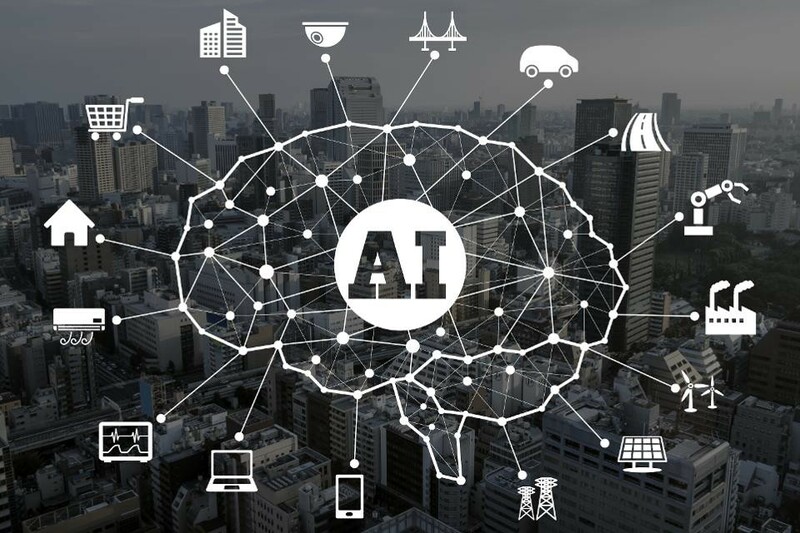 "Artificial intelligence will find applications in almost every sphere of activity, ranging from industrial automation to defense, from surgical robots to stock-market assessment, and from driverless cars to agricultural sensors controlling fertilizers and pesticide inputs", Dr. Khan adds. A Pakistani tech company has developed an artificially intelligent journalist, the first of its kind, which can produce a complete news item in just a few seconds. Dante is currently producing 350-word closing reports for the Pakistan Stock Exchange, as well as six-month charts and graphs showing market trends. “This news-writing bot produces 100 percent original content in just two to three seconds after accessing relevant data from newswires, local and international media outlets,” Anis Shiekh, founder of baseH — the company that created Dante — told Arab News. Dante can automatically develop and maintain its own archive, and can provide context and background to articles. “With Dante’s help, media outlets can produce endless original content as it neither sleeps nor tires,” Shiekh said, adding that it can easily produce content in different formats such as online, radio, print and television. Content generated by Dante was shared with senior Pakistani journalists and editors for feedback. The working prototype can quickly adapt to new writing styles, editorial policies and preferences, so it can easily be deployed anywhere. Shiekh said numerous brokerage firms and media houses in Pakistan have expressed their interest in buying Dante, but baseH has decided to provide services via subscription only. Regarding the company’s future plans, he said it is concentrating on tailoring Dante to produce content on the 2018 World Cup, and to write 700-800-word articles on various subjects, including sports, education, health, entertainment and foreign affairs. “Our subscribers will be able to get original articles instantly on their required subject by just entering a few keywords related to the topic,” said Shiekh. His company has been working on Dante since 2009, at a cost so far of more than 6 million Pakistani rupees ($56,980). In the world of science and technology, it is being said that we are at the beginning of the fourth industrial revolution. The first brought in the age of mechanised production from iron, steel, coal and steam. The second was the result of internal combustion engine and electricity. The third was the digital revolution of information technology brought in by silicon, personal computers, cellphones and the internet. With the exponential ability to store data, the skillset required to analyse it has been left far behind. The fourth industrial revolution has now begun. It is marked by emerging technology breakthroughs primarily in the following 10 areas, Artificial Intelligence (AI), Robotics, Internet of Things, 5G Broadband, 3D printing, Autonomous Vehicles, Cloud Computing, Blockchain like Distributed Ledgers Technology, Biotechnology and Precision Medicine, and Augmented Reality. Klaus Schwab in his book The Fourth Industrial Revolution states that previous industrial revolutions liberated man from animal power, made mass production possible and brought digital capabilities to billions of people, but the fourth is fundamentally different. It is characterised by a range of new technologies that are fusing the physical, digital and biological worlds, impacting all disciplines, economies and industries, and even challenging ideas about what it means to be human. Reasoning has been the biggest strength of humankind but now it can be relegated to machines. Raw, brute crunching of data was done earlier by super computers like the IBM Deep Blue that defeated Gary Kasporov in 1997. Deep Blue was tutored in the basics of chess and had in its memory the strategy employed by grandmasters in thousands of games previously played. This year AlphaZero made by Alphabet came up with a unique Algorithm for learning of chess. It started with no knowledge of the game beyond its basic rules, but then it played against itself millions of times and learned from its mistakes. In a matter of hours, it taught itself enough to take on the biggest computational beast that exists in chess called ‘Stockfish’. The latter was doing 60 million calculations per second while AlphaZero examined only 60,000 but beat Stockfish hollow. In a nutshell this is AI and machine learning. AlphaZero thought smarter not faster. The convergence of data with massive storage and analytical abilities when applied to available genomic and health data will be creating phenomenal change in human health. A US health service provider ‘Epic’ has health data of more than 100 million individuals. The analysis of such mega data can exponentially improve diagnostics and treatment. ReLeaSE, another algorithm-based programme, comprises two neural networks that can be thought of as a teacher and a student. The teacher neural network knows the rules behind chemical structures of about 1.7 million known biologically active molecules. By working with the teacher, the student neural network learns over time and becomes better at proposing molecules that are likely to be useful in new drugs. Combining CRISPR the gene sequencing and editing technology with AI drug development programmes, can dramatically revolutionise healthcare. Augmented reality and virtual reality will overlay data-related information on the real world for example in surgery where layers of tissue shall not have to be dissected in search for diseased foci as the surgeon would be able to see the whole thing in 3D before dissection. Increasingly machines, for example autonomous vehicles, are making decisions with little intervention by humans. Some understanding of this new reality has enabled seven out of top 10 largest companies of 2018, Apple, Amazon, Alphabet, Microsoft, Facebook, Ali Baba and Tencents to become economic powerhouses.